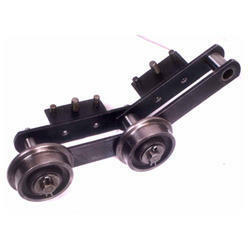 We are offering a wide range of Bottle Washing Machine Conveyor Chain. Our products are manufactured using utmost quality raw material and are highly tested for their quality assurance. In these machines, bottles are loaded on rotating plate from & cleaned in series of operations and are hold in the bottle holders. Further, the range is stringently checked and tested on varied parameters so that clients receive products that offer value to their money. Looking for Bottle Washing Machine chain ?